Teresa Kersten is Vice President of Consumer Marketing at LinkedIn where she manages both free and subscription products for LinkedIn’s 610 million members. She drives global product marketing, acquisition and marketing campaigns. 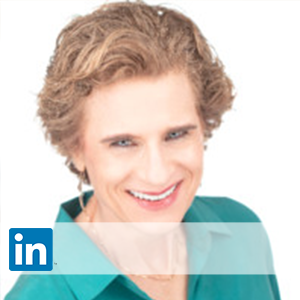 Before joining LinkedIn, Teresa ran a marketing consulting company, which advised technology firms on market strategy, relationship marketing and customer management, customer retention, and marketing communication. Clients ranged from technology to retailers: Apple, Adobe, Intuit, Coach, Gap Inc., E*Trade, Intuit, and Cox Enterprises/AutoTrader.com. While Vice President of Marketing for ZIP2 Corporation, Teresa managed product marketing, marketing strategy, promotion, public relations, and customer research for this Internet consumer services company. She launched ZIP2’s Internet Yellow Pages and the company’s on-line Arts and Entertainment Guide. Teresa has managed consumer marketing groups at Intuit and Apple Computer. Her responsibilities at Intuit included designing and delivering retail, OEM, and direct marketing strategies and programs for Quicken. At Apple, her organization drove product definition, marketing strategy, merchandising and promotion, marketing communications and customer research for the higher education market. Teresa is a graduate of Stanford University and the Stanford Graduate School of Business.